Yvette showed me this recipe when I needed something special to make for a dinner party I was hosting. I didn't want to do the typical cheese and cracker set-up, (yawn), to snack on before dinner, but I also didn't have time, (nor energy), to come up with some wild and elaborate concoction. This flat bread fits perfectly into the category of rustic, simple, delicious and best of all, home-made with lots of love. 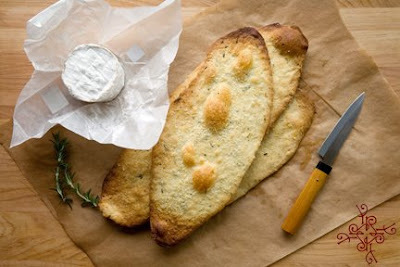 This flat bread is less doughy and chewy, but more cracker-like. 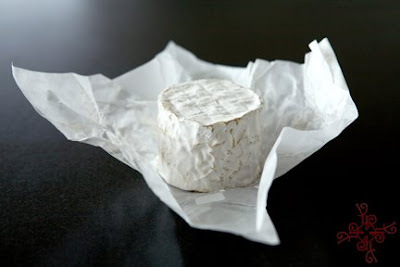 It has a crispiness which is great fun to break apart and dip into a gently softened goat cheese. Depending on the number of guests you are having, you may want to double the recipe, just in case. 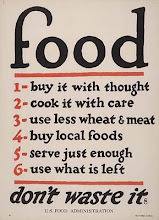 And if worse comes to worst, you have some left overs for the next day. It will keep nicely in an airtight container for a day or two. Adapted from Gourmet Magazine, July, 2008. Preheat oven to 450, place heavy baking sheet, or pizza stone on middle rack. 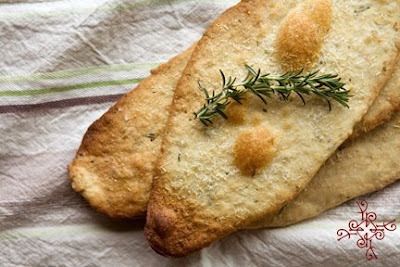 Stir together flour, chopped rosemary, baking powder and salt in a medium bowl. Make a well in the center and then add water and oil and gradually stir into flour with a wooden spoon until dough forms. Knead dough on a work surface 4-5 times. Divide the dough in to 3 pieces and roll out one piece, (keep remaining pieces under plastic wrap), on a sheet of parchment paper into a 1o inch roundish shape, dough should be thin. Lightly brush olive oil on top and sprinkle with Parmesan cheese. 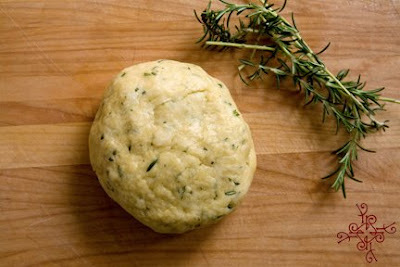 Scatter small clusters of rosemary on top, pressing them into the dough. Sprinkle with salt. 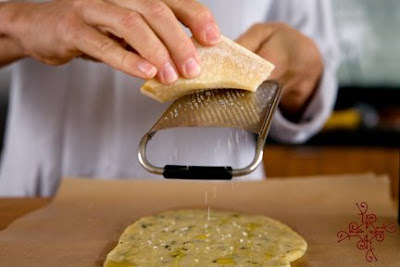 Slide dough, while still on parchment paper, onto preheated baking sheet or pizza stone. Bake until pale golden, 8 - 10 minutes. Transfer flat bread, discard parchment, to a cooling rack, then repeat with remaining dough.